What Do You Remember About Nirvana, Lollapalooza and Classic Moog Moments? These last few days, I’ve been catching up on my Sound Opinion podcasts, and I have a few highlights and concert memory gems to share about Nirvana, Lollapalooza and the live history of the Moog synthesizer. We’ve explored the competition between headliners and openers and how the openers can catch you by surprise and be more entertaining than the headliners. And in this case the openers went on to change the course of music history. And during their look back at impact of 1991 on the history of music, Sound Opinions co-host Greg Kot shares his memory of seeing Nirvana open up for Eleventh Dream Day at Metro a couple years before grunge broke. Kot tells what it was like to see Cobain live for the first time before David Grohl had joined the band later in 1990. Kot goes on to say it was that moment that made him take notice of this new band from Seattle. We all know what happened next for Nirvana. This moment happened 20 years ago and it’s a rare thing to be able to say you were at show that took place before a major shift in the musical culture. It must have really special to be there to witness the moment, cbecause we all know how special a concert venue like the Metrois. I’m not sure if it’s the same show Kot was at, but I was able to find a clip of Nirvana’s Metro show in Sept 1989. If you were there, we’d love to hear your story too. Later in the podcast, Kot and Derogatis also discuss the beginning of Lollapalooza, and how nobody would have expected the one-off farewell tour for Perry Farrell’s Jane’s Addiction to grow into the destination juggernaut that it is twenty years later. I think Perry Farrell always had a bigger plan in mind for Lollapalooza, and I hope it continues to get better for the fan’s sake. The second Sound Opinions podcast I’d like to tell you about is Kot and Derogatis’s exploration of the history of the Moog synthesizer. During their exploration they discussed how it was just as mesmerizing to watch musicians manipulate the massive instrument as it was to hear the electronic bursts and slithers that the Moog produced. Apparently, it was both a sight and sound to behold! And with festivals like Moogfest 2010 celebrating history, and contemporary synth-pop bands MGMT and Hot Chip increasing it’s popularity and progression, I’m sure you’ll enjoy this Sound Opinions episode. In under an hour, they bring you up to speed putting the historical innovation of the Moog in proper context and perspective. To see what I’m talking about, check out the videos below to watch Keith Emerson of Emerson, Lake and Palmer demonstrate his wizardry as the first rock musician to play the Moog live in concert. And as far as your concert fan stories go, it was also great to hear Bob Moog share his live music story in the video below too! 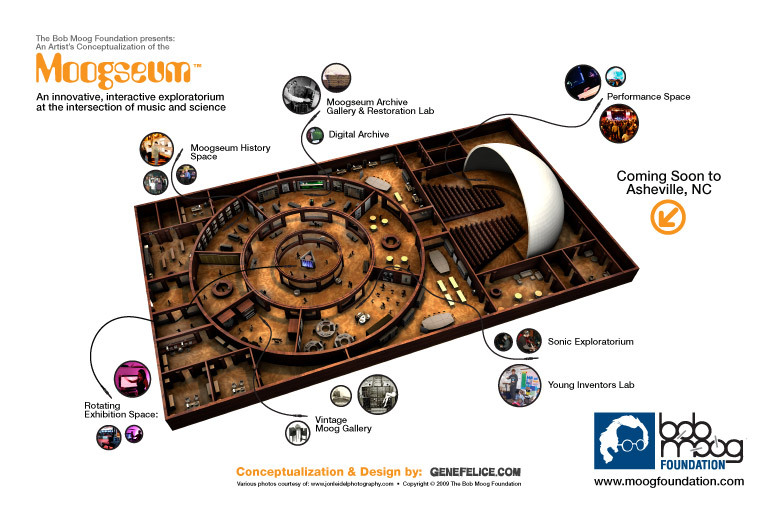 For more info on history of the Moog you can check out the Moog Foundation and their Science Lab and proposed Moogseum. For more Moog-centric live music tunes, you can also check out our previous Wolfgang’s Vault Moogfest playlist. Got a live music flashback story to share? Have you been to an Emerson, Lake and Palmer show to experience the first live Moog shows? Were you at the first Nirvana live shows or Lollapalooza in 1991?